On a recent trip to Orla ndo I met up with a buddy of mine named Anthony “Biggie” Bencomo who runs a company called Deli Fresh Threads that I’ve been a big fan of for a long time. If you like sandwiches and/or cool t-shirts you need to give his website a look. 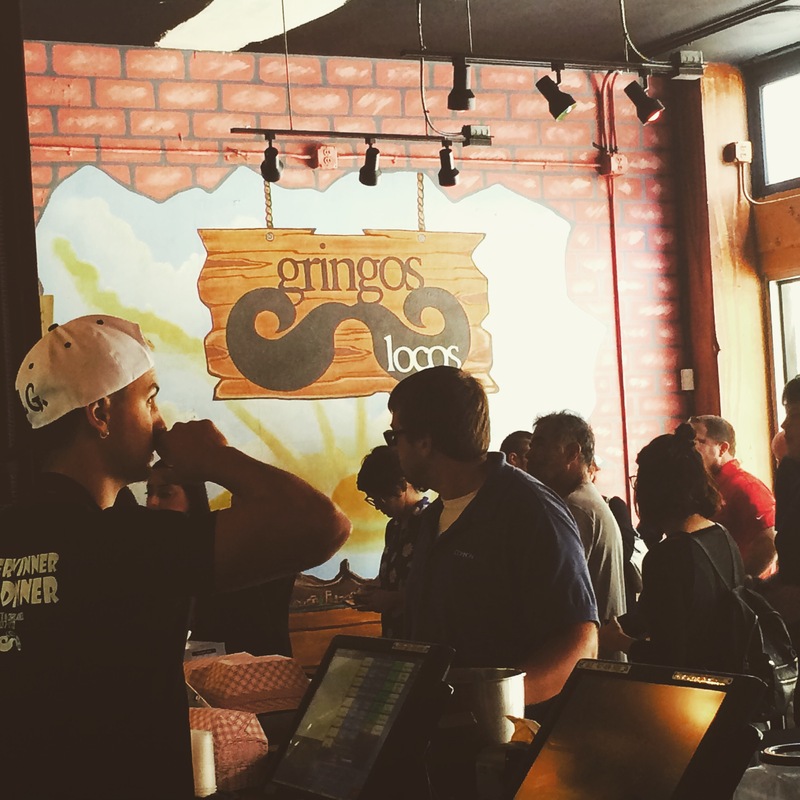 Since Anthony knows I am always on the lookout for a tasty taco he took me to his favorite local taco shop Gringos Locos in Downtown Orlando, and it did not disappoint. 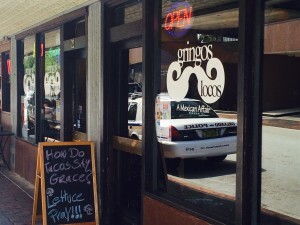 When I walked into the place and the sandwich board out front had a slogan reading “How do Tacos say grace? 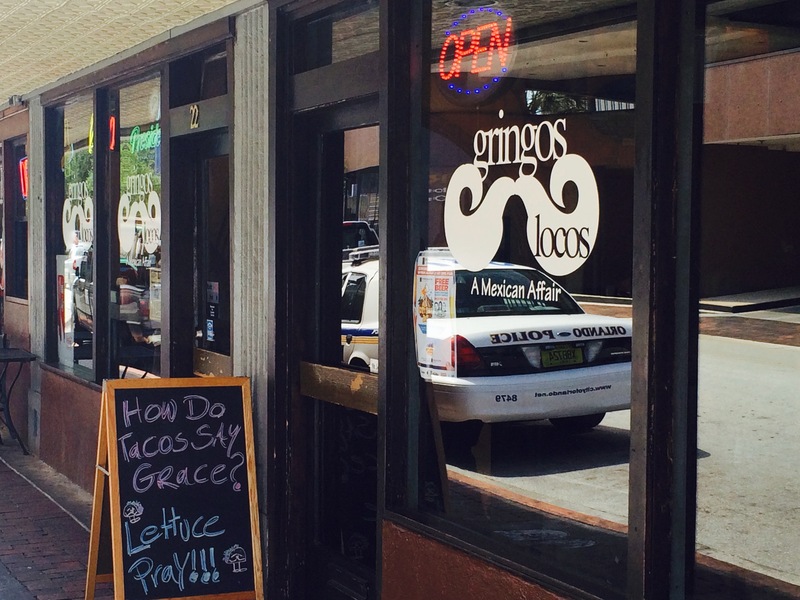 Lettuce pray.” I knew that this was going to be a match made in heav en … taco heaven. It was the perfect taco dive that I am always looking out for. A small hole in the wall place with tall stools with peeling vinyl, and wooden tables with carved messages from all the other taco enthusiasts who had come before me. A far cry from the glitzy tourist fare normally associated with Orlando. Anytime you get your tacos served wrapped in foil on a Styrofoam plate or in a plastic basket you just know they are going to be tasty. 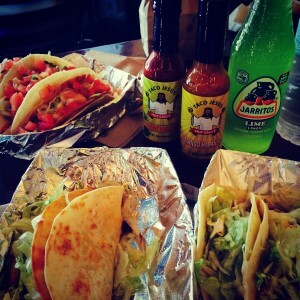 Gringos Loco had recently been named best Taco in Orlando and I can see why. They are known for their “Double D’s” a double-decker hard taco wrapped in a flour tortilla with melted cheese in between, so of course I had to go in for one of those, as well as a pork, a chicken, and a beef taco and of course a Jarritos Lime Soda to wash it all down. I knew this would be way more food that I should rightfully consume in one setting, but hey, when am I going to get back here to try these again? As always I travel with my own private stash of hot sauce, so the chicken and the pork tacos were dowsed with Taco Jesus’ Mango Habanero while the Double D and the beef taco got our new Heavenly Habanero. I must say the whole experience was a taste delight, and I can’t wait to get back to Orlando to give this place a try. I always love to explore Orlando on my occasional road trips over, and this was a gem well worth discovering. 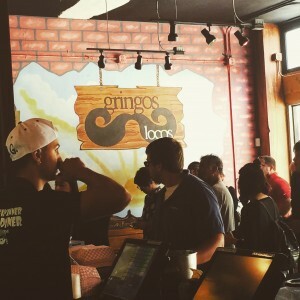 The only downside to the whole experience was the limited seating at the shop since we arrived in the middle of the lunch rush, but fortunately I had showed up early to meet Biggie and was able to secure a table early before the big rush hit. The tacos were $2.50 – $2.99 and their huge stuffed burritos were $7.39. So it was an inexpensive tasty treat that I can highly recommend next time you find yourself visiting The Magic Kingdom it’s well worth a trip. Taco Jesus is coming to a Festival near you (if you live in central Florida). We’ve just signed up to participate in our first spicy foods show and are really excited for our chance to get face-to-face with our customers and spread the Taco Gospel to a new audience. 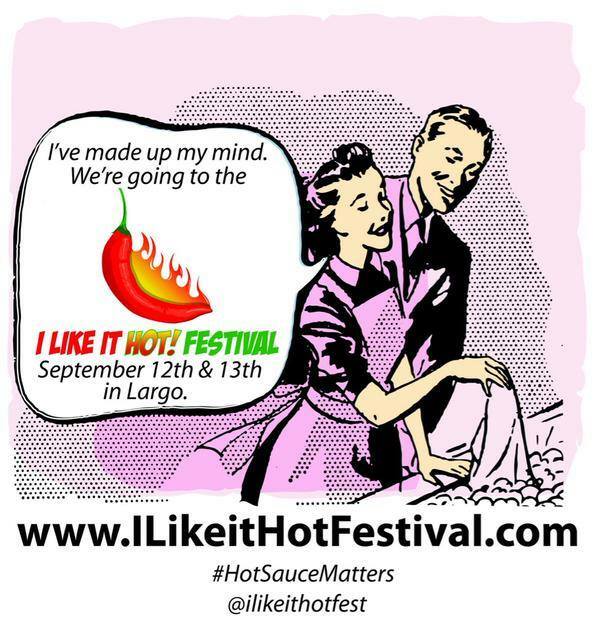 If you live in or plan on being in the Tampa Bay area the weekend of September 12th & 13th stop on by to say hi. We would love to meet you and let you sample some of our awesome products. 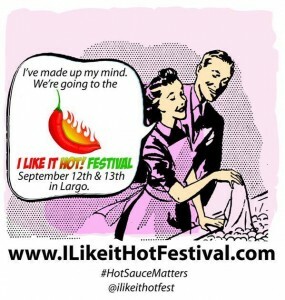 We will have plenty of product for sale to help you stock up on some spicy goodness. You can get more information on the festival by following this link. In other Taco Jesus news: We’ve recently added two new flavors to the Taco Jesus family of sauces. Our new Heavenly Habanero sauce is a perfect blend of all-natural ingredients that is sure to turn your next meal into a heavenly delight and our new Serrano Pepper sauce blends all natural ingredients into one great tasting sauce. 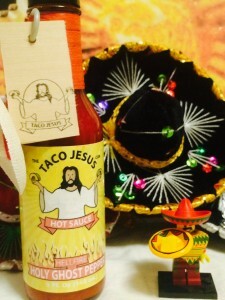 Crack open a bottle today and let Taco Jesus wash away your sins.